I have just written an article (yet to be published) telling of and then expanding on an example of a moment in my career when all that I believe in as a person, an educator and a school leader broke the surface. I have another one. I want to share it. As a school, we had engaged with the research and work of Dr Russ Quaglia and the Quaglia Institute in the U.S.; more here and here. We had worked with Russ’s Aspirations Profile and explored School Voice (Student, Teacher, Parent) over a good period of time. The Quaglia Institute’s Chief Academic Officer, Dr Michael Corso, let it slip that he was journeying to Scotland for a family holiday. Now, we are based in the north east of England, so Scotland ain’t too far off. And yes, I do know that Scotland is a sizeable lump and, indeed, boasts a physiognomy that is made up of many sizeable skyward pointing lumps that require circumnavigation. So, as the crow flies, we are not that far away. Mickey was easily persuaded to hop on the train and lead a day of professional development for us Sassenachs. I will not go into the content of the training. Accept that it was exceptionally good stuff, provoking thinking and good conversation. Skip forward to the morning break. Mickey says to me, “Can we borrow some of those children out on the field?” It was our field, the school field. We had laid down one of our Baker day chips but we had quite a lot going on that was being run by external providers. “Well, of course, Mickey, whatever you want!” I did ask why, and I did phone home to gain consent for each of the 12 guinea pigs. Am I allowed to say that? I guess I just did! Fast forward to the beginning of the afternoon session. The 12 were sat in a circle, Mickey alongside. The 13 were encircled by us (whole staff – 40ish). We, in turn, were corralled by a mixture of parents/carers/grandparents who had asked if they could attend, when called earlier. Mickey had asked if it was alright for him to conduct a focus group interview, “in a fishbowl”. It might prove uncomfortable, he warned. All those surveys we had diligently served and chased in were to be tested, in the moment, in the raw, with an audience. I think it is fair to say that we all sat spellbound as Mickey, with consummate skill, drew narrative from our Likert-styley surveys, through the children. He had done his homework. And he had done his homework! Words from the morning session flooded back. ‘Taking surveys is the first step.’ ‘It is the next steps that really matter.’ For a full ninety minutes, Mickey teased and provoked. The young ones loved it. They gave voice. We were enthralled, regardless. The other adults in the room listened attentively, and then chipped in. The conversation had is one that will stay with me always. Even more so, the fact it happened in the way it did. There existed a magical connectedness that was truly special. Far from being an uncomfortable experience, I think we found it decidedly liberating. I learned so very much that day. Experiences like that have informed my outlook and my belief in the importance of connected communities, transparency, and good, honest, wholehearted conversations. The event also flooded back as I watched Rabbi Dara Frimmer pointing out that what we care about is deeply connected to who we are, our life experiences, our pain and disappointment as well as our greatest joy. Rabbi Frimmer says that if we can just remember to get at those sorts of stories and share those of our own we are far more likely to create a network of committed people who are ready to bring about social change. For, “Surveys are not stories.” Rabbi Frimmer suggests that surveys will never be able to reproduce the feelings and the emotions and the sense of connection that people receive when you sit together and listen to people telling their stories. “Surveys are not stories.” Stories remind us that what we think are deeply personal, private issues are in fact shared public concerns. Imagine, Rabbi Frimmer says, if we began to work on any of these shared issues together. I share more on this here. 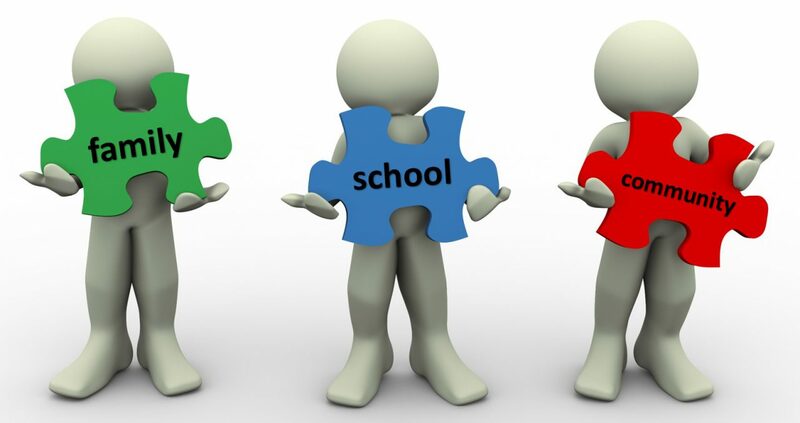 If we accept that every school community is unique then it follows that community capacity building calls for active negotiation of family-school-community partnership in your context. I believe that school communities aspiring to be full potential communities of practice simply must invite families and community into the room. We had our eyes opened by Mickey when he took a mid-vacation break to share his light with us. It is testament to Mickey’s skill and expertise that so many teachers expressed the view to me at the end of the day that it was the best professional learning day they had ever experienced. Most notable, was the number of young teachers who felt moved to say so. It thrills me to think that they carry that learning forward with them. I urge you to take a look at Mickey’s blog, recording, with honesty and integrity, his return to the classroom; “a rookie teacher in his fifties”. In it, Mickey embraces vulnerability and peels back the layers… Just as he encouraged us to do on the day described above. Simon, I am humbled and touched by your kind words. I am happy to report that after a year and a half in I am still loving it. The learning curve is less steep in year two, but no less upwardly sloped! Your leadership is also an inspiration. Onward and upward! !